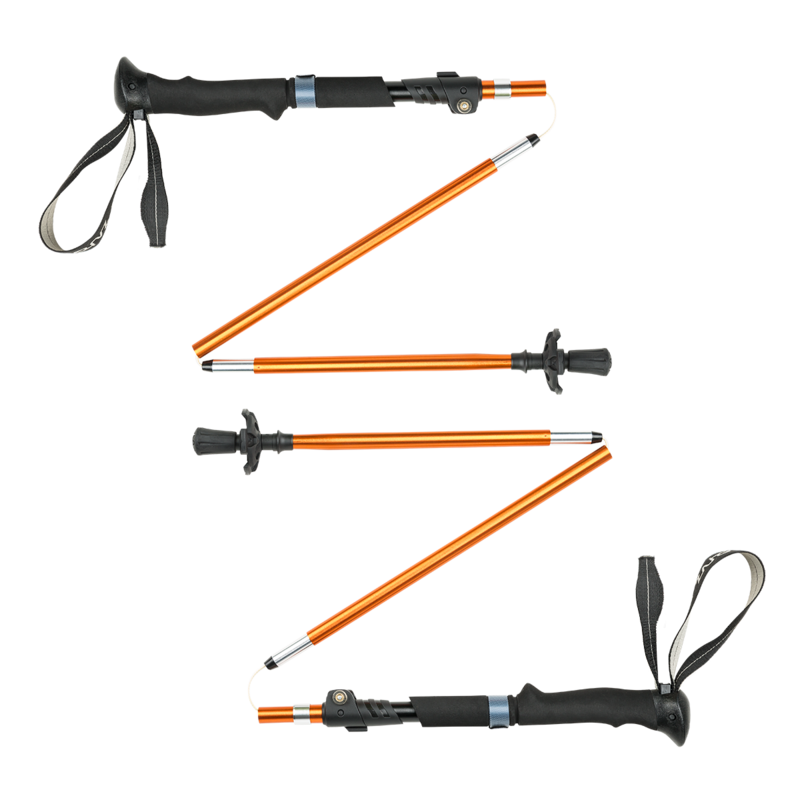 The best three-seasons use trekking poles features an aluminium construction combined with three-section foldable design that keeps your load light and fast. Non-slip EVA foam extended grip lends comfort and practicality. You will never miss out on a mountaintop sunset because you are fiddling with your poles. Foldable design allows fast-response deployment. Telescopic poles are not very maintenance-demanding. The poles endure much when buckling, but they are not to be used as a lever. Otherwise they may be bent or broken very easily. This can be happened if the pole runs into a hole or gap. So it is required to provide the poles with rings in the summer season. The greatest danger for the poles is to tag them together when not using for longer time. So the Dural oxidation (white powder) occurs between two tubes. It may become, that the poles shall not be extruded and ugly stains and crusts appear on the surface. Therefore, the best prevention is drying the poles. After a tour, mainly rainy one, swab the poles to be dry.